Straight shafts, 0.12mm 2 x 3 teeth set at 45 degrees, with 5mm tying platform. Flat handle. 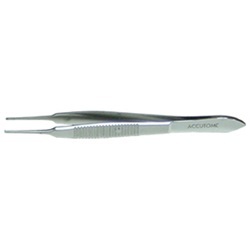 Overall length: 94mm.